A service featuring poetry by Hafiz and Rumi. Tom and Alice Woodrum will be in CO in early Aug. and plan to attend the UUCG service on Sun., Aug. 7th. It will be fun for them to greet as many dear UU friends as possible. 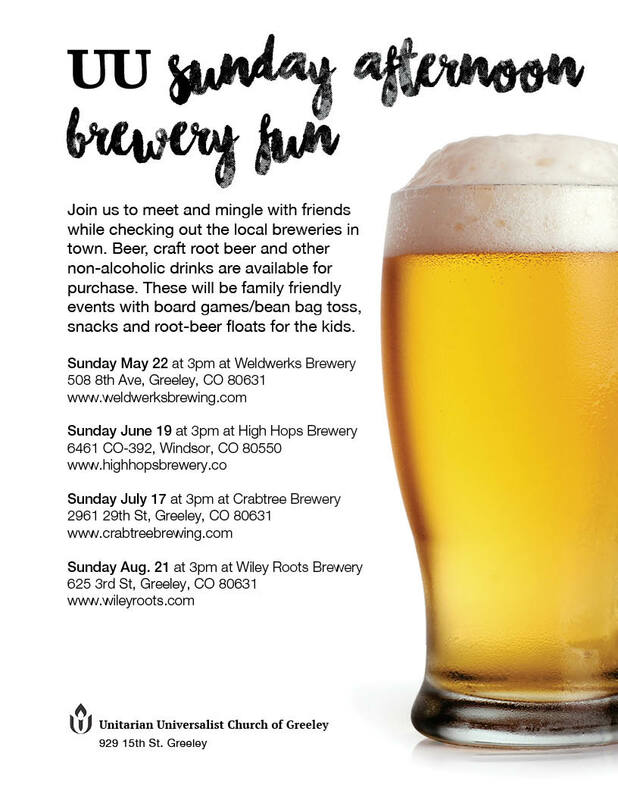 They will also be back in Greeley on Aug. 10th, 11th, and 12th and hope to visit with more friends as time permits. On August 14, 2016 immediately following that Sunday's service there will be a pot luck lunch at the church where the whole congregation will be able to meet Rev. Barry Bloom, his wife Amanda Torsten-Bloom and his daughter Hannah Joy Bloom. Barry is eager to get to know you all and for you to know him and his family too. Come and give Barry and his family a warm welcome.